[CIP Note: This reportage appeared on January 16, 2017 but, in our view, remains significant for an understanding of Kurdish issues and the history of Antifa. -- Zana]. Could the writings of a little-known leftist from a rural American state help to reshape the political structure of the nation that emerges from the Syrian civil war? Bookchin's self-described libertarian socialism is taught today in Kurdish classrooms and is indoctrinated into Kurdish recruits of the YPG. "I have a diary entry by him in 1991 in which he writes about feeling 'tormented' over 'the massacre' of the Iraqi Kurds by Saddam Hussein," his daughter, Debbie Bookchin, told VOA, referring a chemical attack on Kurds in Halabja in 1988. "He was very disturbed that the Kurds were so callously and repeatedly betrayed," she said. Bookchin's doctrine, sometimes loosely referred to as "democratic confederalism" or the "democratic nation," has become a banner for the 2 million Kurds in Syria who have long sought autonomy from Damascus. 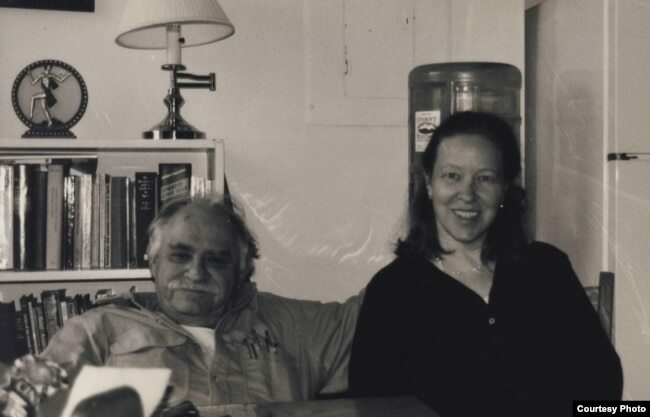 "He was a consistent anti-statist," said Janet Biehl, Bookchin's biographer, who was also his partner from 1988 until his death in 2006. Biehl said Bookchin was "most influenced by his grandmother who was a social revolutionary back in Russia." "He thought that it was necessary for people to be empowered through decision-making at the grassroots level, the level of face-to-face democracy like ancient Athens," she told VOA. 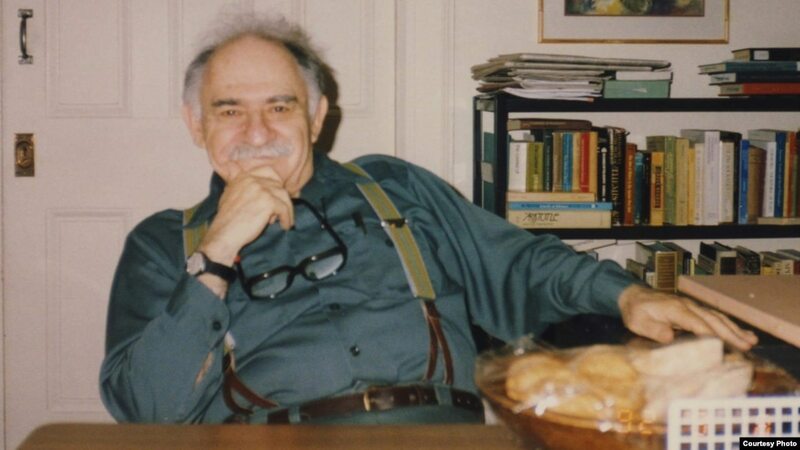 Beginning in 2004, Bookchin began corresponding regularly with Abdullah Ocalan, the founder of Kurdistan Workers' Party (PKK), which is considered a terrorist organization by Washington and Ankara. The PKK has battled Turkish forces decades and has engaged in deadly attacks in Turkey in its push for Kurdish autonomy. 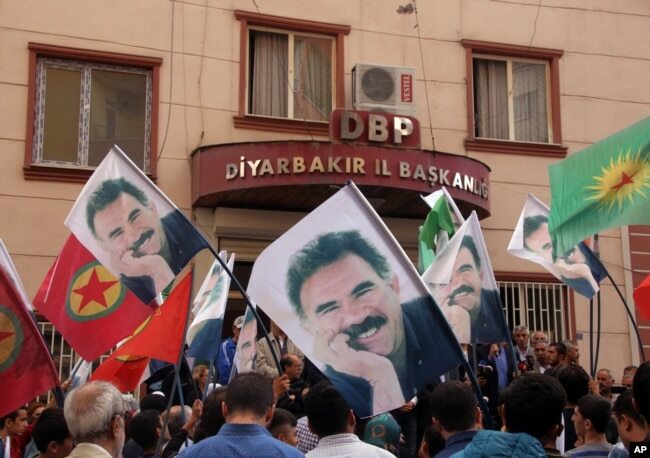 FILE - People hold posters of jailed PKK leader Abdullah Ocalan and PKK flags as they gather outside the headquarters of pro-Kurdish Democratic Regions Party, DBP, on the17th anniversary of Ocalan's expulsion from Syria, in Diyarbakir, Turkey, Oct. 9, 2015. Ocalan had read Bookchin's books while in prison and became captivated by the ideas of the American thinker. From then on, his writings were heavily influenced by Bookchin's, prompting the PKK and other Kurdish parties to begin to incorporating Bookchin's ideas into an already left-leaning ideology. Several months after Syria's civil war broke out in 2011, Kurdish groups took control of an area in northern Syria where they had lived for decades under Syrian rule. 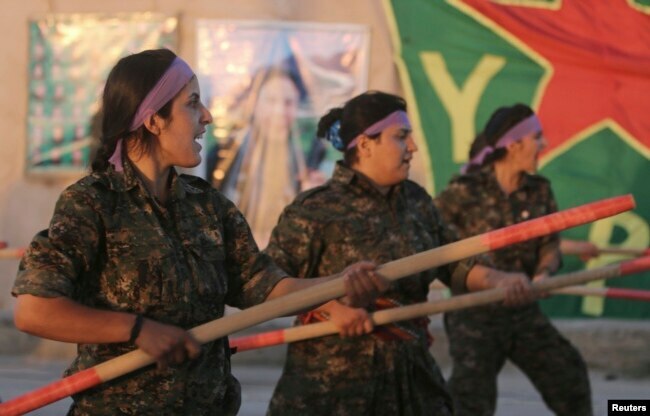 The YPG has also embraced Bookchin's ideology of promoting equality between men and women. 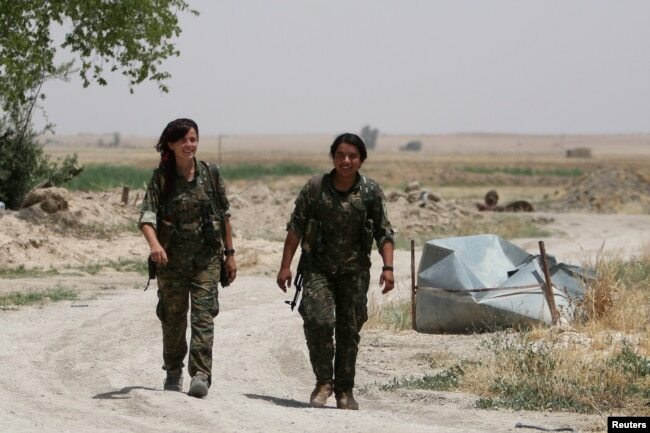 The YPJ, an all-female unit of the YPG, has fought fiercely against the terror group. "My father would have been elated to see his ideas put into practice," his daughter told VOA. "The Kurdish communalist movement serves as a model of self-rule that could help dramatically improve the lives of women across the region and that would guarantee freedom of expression to all cultures." 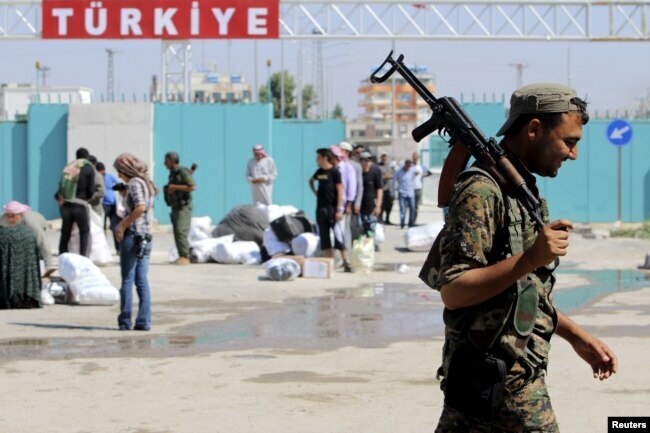 "Although it tries hard to market itself as a pioneer of a new movement in the region, the PYD has not been able to get rid of its oppressive Stalinist practices," said Hosheng Ose, a Kurdish affairs analyst who writes for the pan-Arab daily al-Hayat. Other analysts agree that Bookchin's vision for an environment-friendly society and benign democratic institutions has not been fully realized by the Kurds in Syria. "From abroad, the Kurdish experiment in Syria seems very attractive and unique," Ose said. "But at the micro-level, there are many shortages that won't be eradicated overnight."